Each fall, incoming freshman are given a tour of campus and the Alumni historical rooms as part of their history class. Teachers have now taken over the courtyard and Hall of Fame gallery tour. 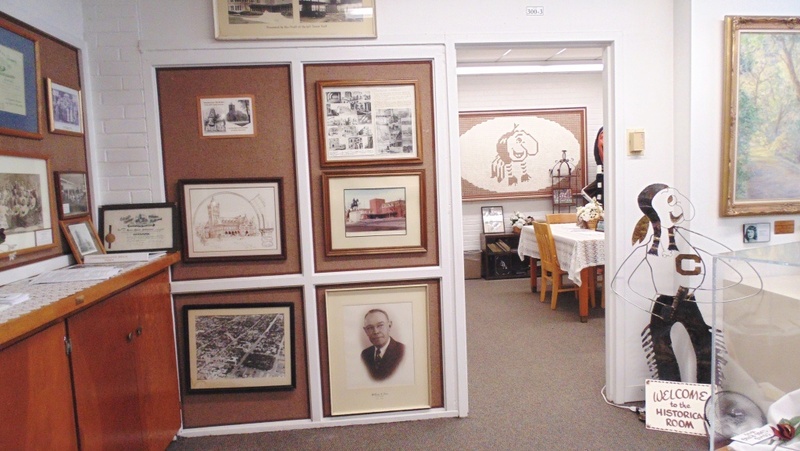 Alumni volunteers give tours of the historical room hallway case and the inner and outer historical rooms. The freshman learn about the buildings, early principals, athletic championships, where the name Terrors originated, view band and choir photos and examples of all the mascots. Time allowing, freshman who have relatives who have attended Palmer can be looked up in yearbooks that are available in the inner historical room. Alumni enjoy sharing the history and traditions of CSHS-Palmer and the tour leaves a lasting impression on the freshman. If you are interested in volunteering to assist with Freshman Tours, please contact us at info@cshs-palmer-alumni.org. 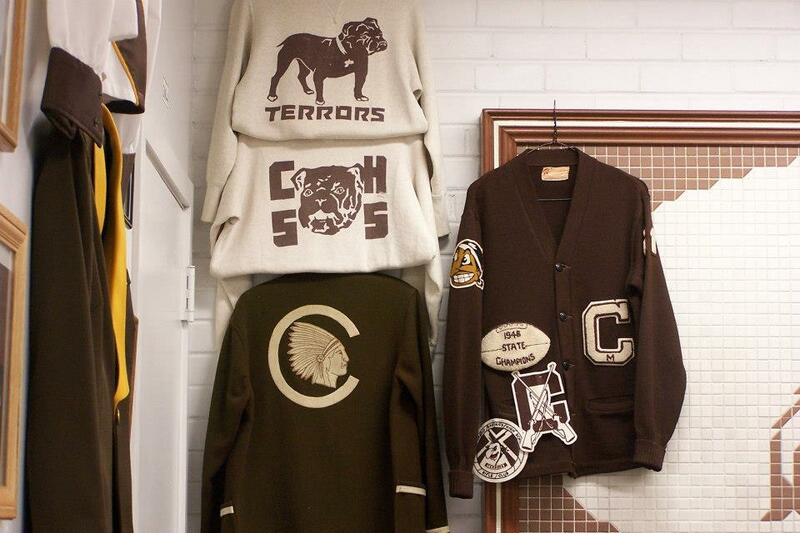 Mascot clothing examples in the inner historical room. 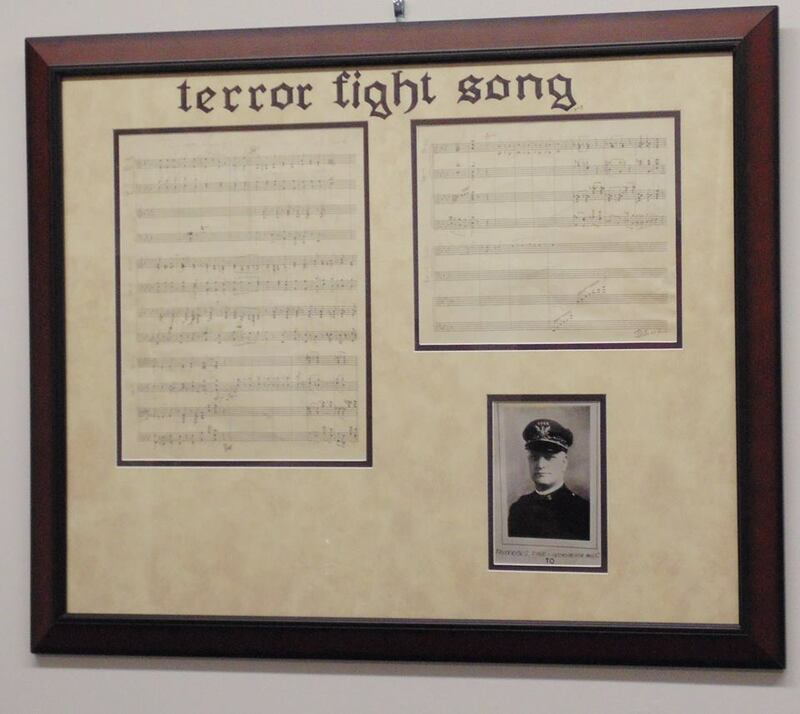 The original Terror Fight Song manuscript with photo of the author, Mr. Fink.